A Canadian woman whose pro-democracy father is imprisoned in China was detained and intimidated by Chinese security authorities while transiting through Beijing International Airport on Wednesday. The detention of Ti-Anna Wang and her infant daughter and husband appears to be the latest reprisal against Canadians in a Chinese campaign to force Canada to allow a senior executive of Huawei Technologies Co. Ltd. to return home. Ms. Wang’s family was en route from Seoul to Toronto on a connecting flight through Beijing International Airport when six police officers boarded the aircraft. In a phone call with The Globe from Seoul, Ms. Wang described the Chinese authorities as “unnecessarily cruel,” saying they wouldn’t even allow her to get the diaper bag from her husband to change her 11-month-old daughter. Ms. Wang’s detention follows the Dec. 1 arrest of Huawei chief financial officer Meng Wanzhou at the request of the United States on allegations of banking fraud related to U.S. sanctions against Iran. China has now held two Canadians, Michael Kovrig and Michael Spavor, for more than a month on allegations of endangering national security and sentenced Canadian Robert Schellenberg on Monday to death for drug smuggling. China has interrogated Mr. Kovrig, a former diplomat, about his past work in China, prompting a protest from Ottawa that Beijing is violating the rules of diplomatic immunity. Canadian teacher Sarah McIver was also detained, but has been released. 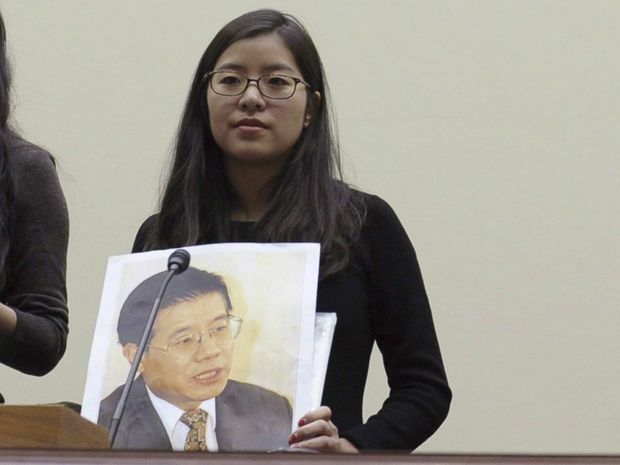 Ti-Anna Wang holds photo of her father Wang Bingzhang prior to testifying before the U.S. House Foreign Affairs Committee in Washington in December of 2013. Calling China’s behaviour “a threat to all countries,” Foreign Affairs Minister Chrystia Freeland said Wednesday she welcomes the support Canada is receiving from its allies as it opposes China’s treatment of Canadian citizens. “Our government has been energetically reaching out to our allies and explaining that the arbitrary detentions of Canadians are not just about Canada. They represent a way of behaving which is a threat to all countries,” Ms. Freeland said. The Chinese government has discounted Ottawa’s efforts to marshal international support against Beijing’s treatment of the Canadians. “I can tell you for sure that we are not worried at all,” Foreign Ministry spokeswoman Hua Chunying said in Beijing on Wednesday. Although most Group of Seven G7 countries, and the European Union, have issued statements supportive of the Canadian position, that doesn’t amount to much, she said. Ms. Wang, who wasn’t allowed to use her phone or computer or to contact the Canadian embassy, said Chinese officials told her she was not allowed to return to Canada and put her on a flight back to South Korea. Ms. Wang was barred from entering China last week when she arrived at Hangzhou airport even though she had obtained a visa in August to visit her dissident father, who is in serious ill health from several debilitating strokes suffered while in solitary confinement. Her father is a Chinese national who was kidnapped in Vietnam in 2002 and smuggled to China, where he was sentenced to life in prison on espionage and terrorism charges. Ms. Wang said she believes China was punishing her in retaliation for the dispute with Canada and the fact that she had spoken to The Globe last week about being denied into the country to visit her father. “It seems clear that something changed since last week and that they are trying to send a message,” he said. It had the air of reprisal, he said, for the public criticism directed at China after Ms. Wang described her eviction from the country. “But nothing exposes and unmasks China’s contempt for the rule of law, in China as well as in Canada, and its own ‘vile, unconscionable and evil’ conduct than its cruel and inhumane treatment of Ti-Anna Wang and her infant daughter,” Mr. Cotler, now the head of Montreal-based Raoul Wallenberg Centre for Human Rights, said in an e-mail to The Globe. He urged Prime Minister Justin Trudeau to phone Chinese President Xi Jinping and attempt to resolve the diplomatic dispute. He noted that Huawei founder Ren Zhengfei, the father of Ms. Meng, has said his daughter was treated “kindly” by Canadians. Mr. Trudeau and his cabinet met privately with six senior ambassadors Wednesday evening as Canada mounts an international campaign to gain global allies in its diplomatic battle with China. John McCallum, Canada’s ambassador to China and a former member of the Trudeau cabinet, said Wednesday evening that he has been in contact with Chinese authorities and his focus is on the safety of the three Canadians. “My first priority by far is to do everything in my capacity to secure the release of the two Michaels as quickly as possible and to help to save the life of Mr. Schellenberg,” he said. Ms. Freeland addressed Canada’s strained diplomatic relations Wednesday during a stop in Repentigny, Que. “This is a difficult moment in our relationship with China,” she told reporters. Ms. Freeland said Canada is grateful for the support it has received in recent days from Germany, Estonia, France, Latvia, Lithuania, the Netherlands, the United Kingdom Britain and the United States. She said she will be raising China’s actions with international political and business leaders next week when she attends the World Economic Forum in Davos, Switzerland. Australia, too, has spoken out on multiple occasions, with acting foreign minister Simon Birmingham commenting this week on the death sentence for Mr. Schellenberg. “We expect at a level of principle that not only the death penalty should not be applied but also wherever people are in trouble the rule of law ought to be applied fairly,” he said. 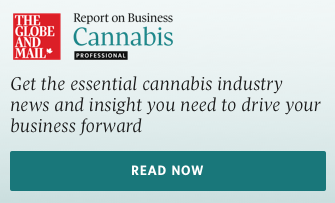 Ms. Hua, the Chinese spokesperson, took aim at those comments, pointing out that the Chinese court found Mr. Schellenberg guilty of attempting to smuggle drugs to Australia.